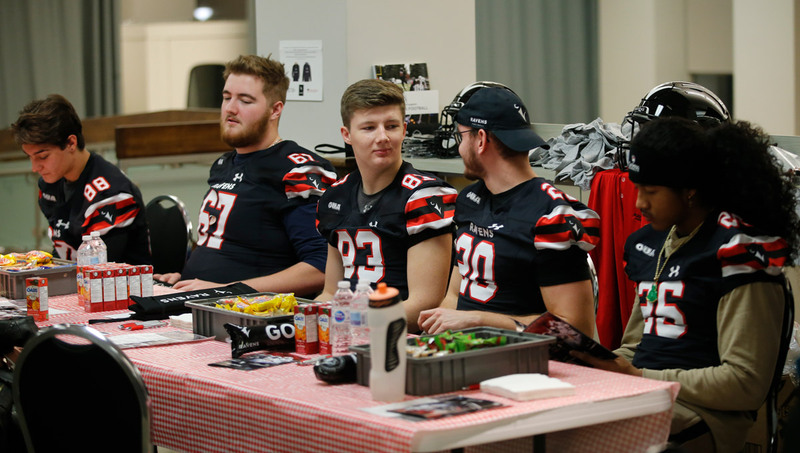 The Ravens men’s football team helped collect an impressive 78 pints of blood on Nov. 30, 2018 at their Give Life blood donation clinic on Carleton University’s campus. More than 20 Ravens donated blood while another 30 volunteered to ensure the clinic ran smoothly. The team recruited donors, ran the refreshment area and made sure donors felt well before leaving. 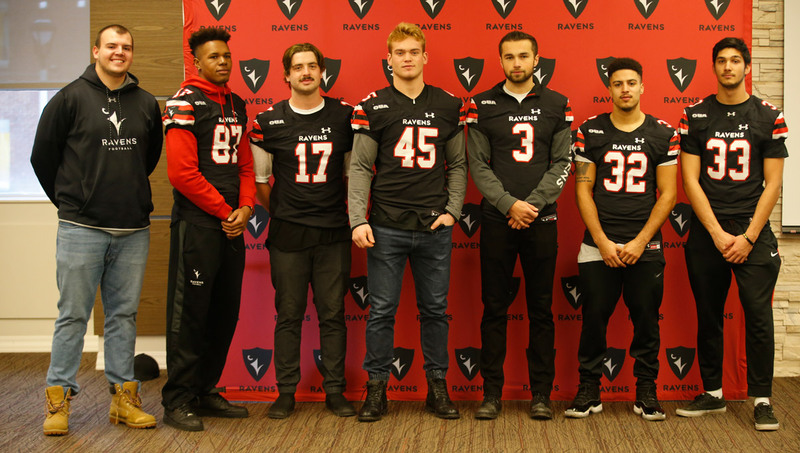 Donors received a complimentary Ravens football T-shirt and were presented with compilation of the football team’s successes both on the field and off the field in addition to how valuable their blood donation is. MaryAnn St. Michael, territory manager of donor relations for Canadian Blood Services, says they typically host two blood drives on campus each semester. 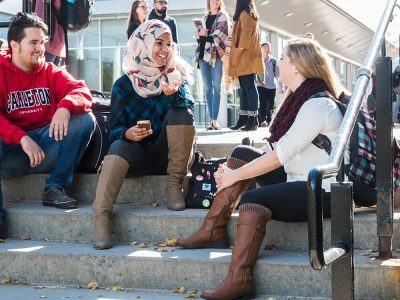 Sometimes they will schedule a third due to Carleton’s large donor base and interest from students. 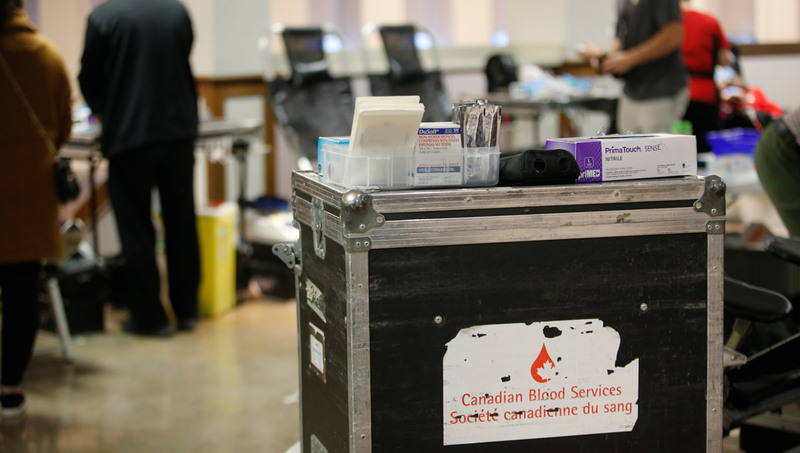 “A big win for Canadian Blood Services is that the Ravens football team has been recruiting donors on our behalf,” says St. Michael. 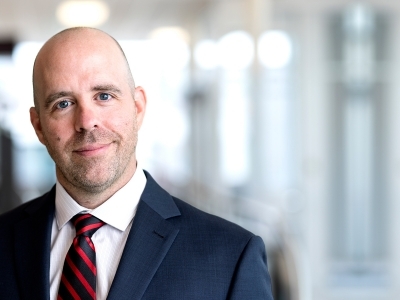 “This extends our reach in the university and helps bring more new donors to the blood drive. 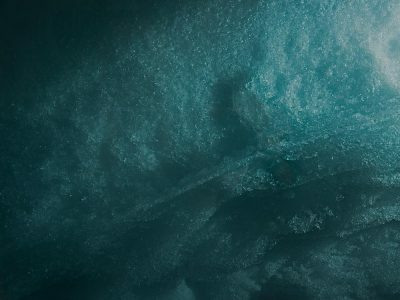 This is important because we need more Canadians to become regular blood donors to meet Canada’s future blood needs. 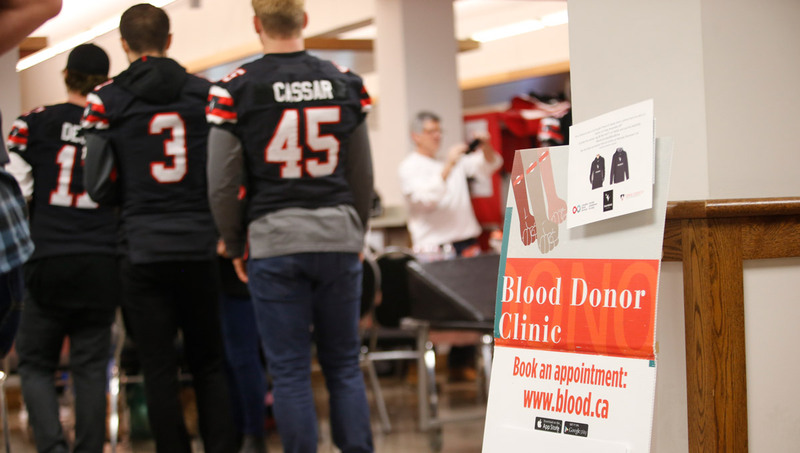 The Ravens team supported an on-campus blood drive three years ago and then decided the last two years that they would run their own clinic with the help of Canadian Blood Services.